Now that the Academy Awards have ended, with the award for the Best Cinematography going to Claudio Miranda of Chile for Ang Lee’s Life of Pi, I got to thinking about another category of cinematographers who have been totally forgotten but might be added in the future. These are the many animals -- from apes, penguins and cats to eagles and marlins, who are now equipped with attached cameras - called “Crittercams,” or in some cases, animal robots, stand-ins for the real thing. These cameras enable us to see never-before-seen footage from each animal’s perspective doing whatever animals do -- from soaring high and capturing prey like an eagle to swimming underwater, nesting, and chatting it up in a penguin colony. Before, nature photographers had set up cams in trees and bushes to capture animal life when they aren’t around. But now the critters -- or in some cases, robots -- have become the photographers. And as cameras become smaller, they can be attached to even smaller animals. So why not an awards category for animal videographers -- especially if their footage is incorporated into popular films? The outpouring of these animal cinematographers couldn’t have come at a better time, given so many filmmakers today have turned to CGI, 3-D and special effects. It’s nice to get back to the basics, with these animals with cameras simply snapping what’s around them as they engage in daily activities. Penguins: Spy in the Huddle produced by John Downer Productions. 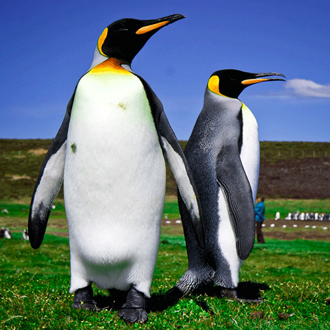 According to Amanda Kooser of CNET.com in Spy-Camera Robot Penguins Infiltrate Bird Colonies, some spycams were disguised as chunks of snow or small boulders, but others were placed in robotic penguins, who had cameras for eyes. In fact, one penguin-bot -- the has written over 50 books with major publishers and has published 30 books through her company Changemakers Publishing and Writing. Gini writes books and proposals for clients, and has written and produced over 50 short videos through Changemakers Productions. Her latest book on trends is The Very Next New Thing: the Latest Developments Changing Your Life www.changemakersproductions.com. “RockhopperCam,” was so realistic it could not only waddle over difficult terrain and get up if it fell, but some penguins accepted it as part of their colony. 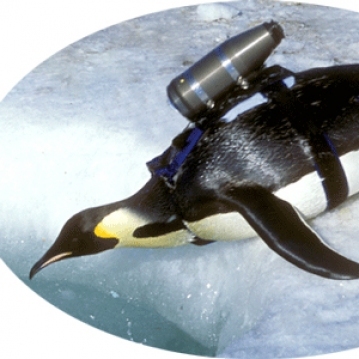 In another penguin project, scientists Yuuki Watanabe and Akinori Takahashi, of the National Institute of Polar Research in Tokyo, put cameras on 11 Adelie penguins in Lutzow- Holm Bay, Antarctica to show the penguins diving for their favorite foods, including krill, tiny shrimp-like crustaceans, and small silvery fish. Each cam recorded about 85 minutes of hunting, and the scientists recently published their findings in the January Proceedings of the National Academy of Sciences. Meanwhile, other marine animals have gotten into the crittercam game, courtesy of the National Georgraphic’s Crittercam system, designed for scientists to study how animals behave and their ecology. Among other things, the cams record video and sound and they track environmental data, such as depth, temperature and speed. 3The cams are also designed to be pressureproof as the animals dive and swim underwater. Ironically, the first Crittercam was developed by marine biologist Greg Marshall when a shark approached him and then disappeared with a remora fish stuck to its belly. Inspired by the idea of putting a camera in place of the fish to see what the shark did without disturbing the shark, Marshall created the first Crittercam prototype. He attached to a sea turtle in 1987, and since it acted just like turtles normally do, the Crittercam was born. Since then National Georgraphic Society scientists have used these cameras with over 50 species of sharks, sea turtles, whales, seals, and penguins. Plus, land animals now snap away, too. National Geographic scientists recently began a terrestrial Crittercam research program with large mammals, namely lions, hyenas, and grizzly bears, and many other animals are turning up behind cameras. For example, researchers at the University of Georgia, working with the National Geographic Society, have attached “kitty cams” to the necks of 55 cats and let them roam about, collecting thousands of hours of video. The results turned up some amazing discoveries, according to researcher Kerrie Anne Loyd. Among other things, the researchers found that the cats adopted a second set of owners and entered their homes for food or affection. In short, just about any animal can become a cinematographer these days. And as cameras get smaller, even smaller animals can join this select group. Perhaps one day we may even learn about the secret lives of hummingbirds, bees, butterflies, and spiders from a tiny cam. So why not start honoring these camera critters? Perhaps they could have their own category at the Academy Awards, or have their own show featuring the animal cinema stars. And perhaps some of them -- and their researchers or owners -- could be there to accept their awards. Who knows?